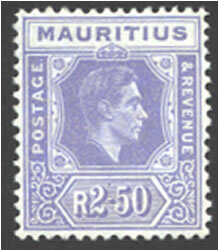 The first King George VI set from Mauritius was printed by De La Rue using keyplates. 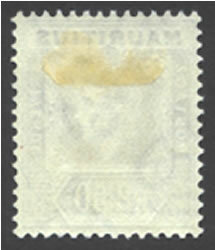 The stamps were printed in sheets of 120 stamps with 60 on each side of a 10mm gutter that separated the panes. This article is based primarily on these sources: "The Printings of King George VI Colonial Stamps" by W.J.W. Potter & Lt. Col. R.C.M. Shelton which was published by Stamp Collecting, Ltd. in 1952; and from three the GEOSIX Newsletters Number 81 thru 83 published by the King George VI Collectors Society in 1974, and authored by F.R. Saunders. The color descriptions come from Potter & Shelton, and the printing and some of the identification details come from the GEOSIX Newsletters. 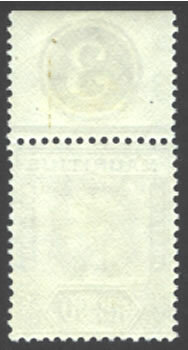 The dates shown are P&S (Potter & Shelton) issue dates from their publication, and CA (Crown Agents) date which is when the stamps were printed. 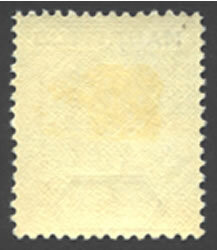 The catalog numbers are from the 2008 versions of the Commonwealth Catalogue, published by Murray Payne, Ltd.; and the Stanley Gibbons Stamp Catalogue published by Stanley Gibbons Ltd. 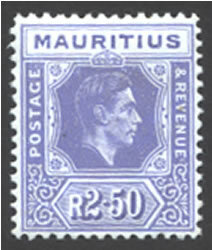 The stamps shown were collected over a period of 25 years and were part of a group of 30 stamps that were identified in comparison to each other using the reference articles to make the determination. 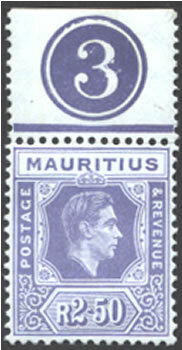 In the King George VI era, only Leeward Islands and Mauritius produced stamps using the keyplates that were commonly used during the reign of King George V. Three different Head Plate Dies were used to produce the stamps. The dies can help us determine the relative date of production based on the time period they were used. 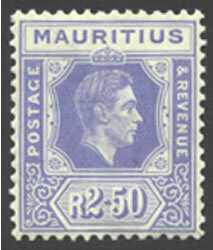 If you are trying to sort the stamps of the Mauritius keyplates, you will need to understand how to identify the various Head Plate Die states. This information is detailed for the Mauritius Small Keyplate Die Plates feel free to visit this site for more information. This is the only Die 1 printing. 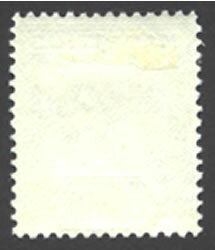 The color of the stamp and gum depend on whether it was in the tropics. 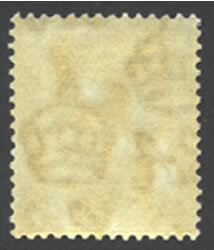 Stamps issued in England will not have the yellowish characteristic about the paper and gum. This is one of 2 Die 2 printings. The color tends to be brighter than the 1944 printing. This is the other Die 2 printing. Look for a duller copy than the 1943 printing. This is the first of the two Die 3 printings. This is the brigher shade. This is the other Die 3 stamp. It will have a fluorescent orangey glow, and tends to look a little flatter than the 1947 printing. To identify your stamps, sort by chalk paper. This will find the 1st and last two printing which are Dies 1 and 3. The rest are Die 2 on substitute paper. The two Die 2 and two Die 3 printings can be sorted from each other by finding the brighter and duller shades from each of the two options. 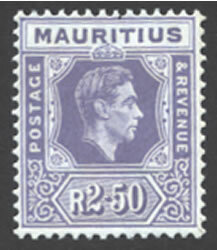 Mauritius Stamps for sale based on the identification from this article.